Nintendo Points are Nintendo's digital download currency, which can be redeemed in the Wii Shop Channel for Virtual Console games, WiiWare games or new Wii Channels. Alternatively they can also be used in the Nintendo DSi Shop if you have a Nintendo DSi system. 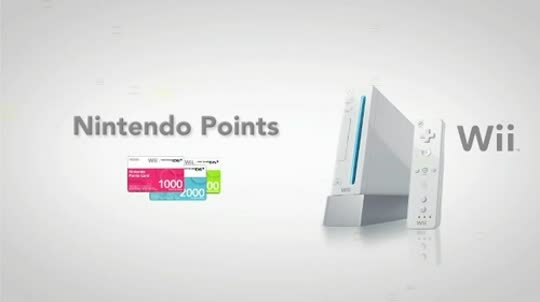 Please note however that Nintendo Points cannot be used with a Nintendo 3DS system. Take a look at our Nintendo Points tutorial video to see how you can redeem your Nintendo Points and enjoy Nintendo's digital download services. Nintendo Points are Nintendo's digital download currency, which can be redeemed in the Wii Shop Channel for Virtual Console games, WiiWare games or new Wii Channels.